getting prepared to go into what I call the “holiday coma”. with you in today’s video. to your success in 2017. 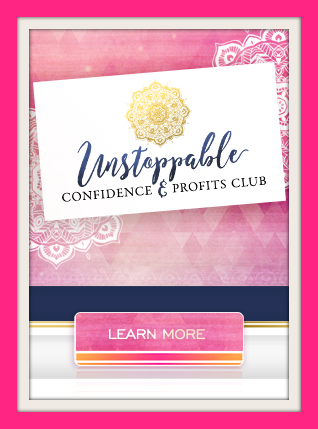 Hi there this is Erika Ferenczi coming to you to help you turn your expertise, your message, and your passion into a thriving business, so you get more clients, grow your income, and live the lifestyle that you desire and deserve. Let’s talk about the number one key to your success in life, in business, and in anything you do. If this topic interests you, keep reading. 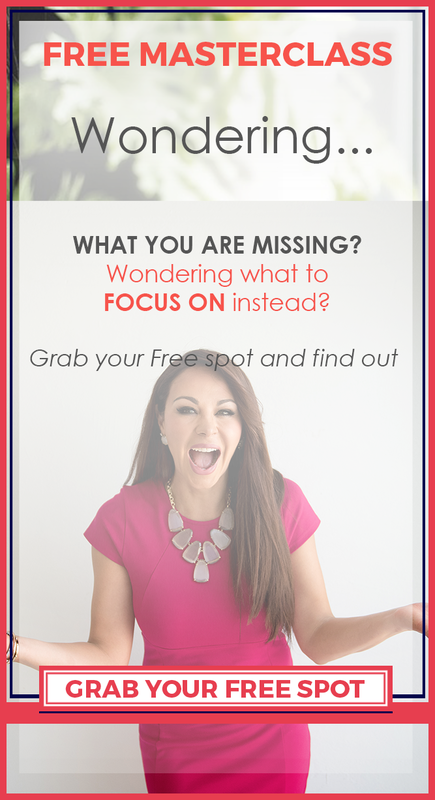 Today’s topic is all about the how to make sure you focus on the number one key to your success. I know that this is the time of the year when everybody is getting prepared to go into what I call the “holiday coma”. Preparing for the holidays, preparing to chill out, preparing to slow down a little bit in all their business endeavors, and I get it. That is very normal. However, if you want to be successful and prepare yourself for 2017, I have three tips for you. Number one. When everybody ZIGS you must ZAGG. When everybody is preparing to slow down and go holiday shopping, you must end 2016 with a BANG! And start planning for 2017, to do that I suggest you get really clear on your goals for 2017. You must know why those goals important to you, and how those goals are aligned with your top values in life. I suggest you don’t come up with an overwhelming list of objectives. Come up with four, just four. Because ideally, you will have two for your business and two for your personal life. What two things would be amazing to accomplish in your business during 2017? What two things would be amazing to accomplish in your personal life? What are those two things for each area, and how can you keep them simple? This is the moment to start planning. I am not saying that you go into full marketing or launching mode, or that you prepare a big event for the end of December. Some people choose to do that, and others don’t. Obviously it is a personal choice. In my case, I don’t. I usually take December to decompress a little bit, to go inside, to spend time with my family and friends. I don’t do a lot of external work. However, I am doing a lot of internal work. I am looking at what’s important to me—making sure that I am realigning my values with my objectives. I take an inventory of what happened in 2016. What worked? What didn’t work? What do I need to do better? How can I plan better for the next year? Most people are either very excited to go into the holidays because they have family and friends, but there’s also a part of the population who have mixed feelings around this holiday season. Why? Because maybe they’re going to spend time with people that they do not necessarily agree with anymore. They used to agree with them, but as they’ve changed, disagreements arise. Maybe you have to sit down at a table during this holiday season, and you’ll look around and realize that the life these people have is not the life you want to live. Maybe some people are dreading the holidays because they feel the pressure of having to buy holiday gifts and spend time with people that they don’t want to spend time with. Maybe there is the pressure of having to do a lot of chores, or going out when they would rather stay home and relax. These are things that you need to take into consideration. How do you want to spend this holiday season? These are my tips for you today. Today, I want to invite you to take a look at your habits because this quote is absolutely true. We don’t notice small things at the beginning. We don’t the effects of that habit until it is too late and it already has a consequence in our lives. Let me give you an example about health, and then I’m going to give an example of business. This is a true story, by the way. I have this particular restaurant that I love going to. It has great food. When I go, I have this urge to drink soda. A full soda. I don’t like to drink diet soda. I used to go all the time, several times a week, and then I would have a big glass of soda. One day, I realized that I had gained a lot of weight. That was the moment when I had to get clear with myself—and real with myself. I said, “Okay. How is this habit affecting me, and what do I need to do differently?” That is how a habit, that little thing that seems inoffensive, turns out to have a big effect in your life. So be honest about your habits. Let me give you another examples about business. You already know this to be true, but I’m going to say it again. The results that you get in your business are going to come through the sales you’re making. The sales that you’re making are going to come from the leads that you get, which are created by the marketing activities that you implement. If you are not making sales, then when you have to pay a bill, there’s not going to be enough money in the bank. You’re most likely going to think, “Oh, I don’t have enough money.” Or, “I am not reaching my business goals.” However, that is not the problem. The problem is that you must think about how many marketing activities you have implemented during the year. How many leads have you gotten from those marketing activities? How many conversations or offers have you made to your audience during the last three to six months? Then, we can have a conversation about whether you are not generating enough money in your business. That’s the conversation that I have with myself, and I want you to be honest with yourself, too. What habits are in your life and business that are not conducive to the life you want to live today, the business you want to have? What are the habits that you must change? What are the business habits that you must change? What are the things that you must implement? What are the conversations, even the difficult conversations, that you should have with a client, a team member or a person you are in a relationship with? What are those difficult conversations that you start having? Look at your habits to make a change in your life. Also, what are the things that you need to stop doing to keep yourself focused on the activities that are going to help you generate what you want in your life? All too often, I see people being distracted with so much outside noise. Social media, YouTube, cellular phones, interactions, interruptions. What are the things that you must stop doing that will help you have focused, productive time to work on your business, to work on the things that you must do to take your business to the next level? Focus on those. Strategy Number three to focus on the number one key to your success. Have a winning attitude. How many times have you said, “If only I could have a better attitude…” What does that even mean? I call it having a winning attitude. Take a few minutes to think about the attitude and personality of a winner. Think about somebody that you look up to. Maybe it could be an athlete or a spokesperson or a public figure. Who do you consider to be a winning person? What is their personality like, and how do they react to challenges? There are going to be many times in your life when you will experience a challenge. However, the perspective and the decisions that you make in that moment will completely determine the future. When you experience a challenge, you basically have two options. You can take a negative attitude and feel that this has only ever happened to you. You can convince yourself that whatever you try in your business or in your life will never work. That is the wrong way to see things. Every single time that you work on something, you’re building a skill set. If the results were less than what you were expecting, guess what you need to do? If you want to have a winning attitude, you must recommit. A person who is a winner never gives up, not even in the face of adversity. If you’ve been following me for a while, you know that I often speak to you about your defining moments. That was a defining moment for that person, and he said, “You know what? When I am faced with adversity, I am going to face adversity with three times the courage, with three times the commitment, and with three times the energy of what adversity has towards me.” That’s a commitment he made to himself, and now obviously, he’s a very successful owner. He just opened his fourth location for his restaurant, expanding every time. He’s actually going into a new line of business. And yet it was just a couple of years ago that he was in that bad situation. All of these examples are to show you that every single person who has been faced with an adversity has two options. You’re either going to feel sorry for yourself, saying “This is never going to work” and “Should I be even doing this?” Or, “Should I go get a job?” You know we’ve all been there. However, in that moment, you have a great opportunity to choose a winning attitude. Decide that you’re going to face adversity with even more commitment, with even more gratitude, with even more perseverance than any time before. I am in the middle of preparing a very important project in which I am going to share with you the best secrets of the 2% of the population who are most successful in the realms of business, life, etc. They are going to come to you. I’m going to prepare this event for you so they can share the things that have allowed them to overcome those challenges. So watch for that. That is going to be available to you very, very soon. How can you adopt that winning attitude for your life? I know first-hand how difficult it is to maintain your passion and your energy when things are not going your way. I have seen countless people who are hate their situation. They are dissatisfied with their business. They have lost all their passion and commitment towards what they are doing. But a few months later, when things start working again, they fall in love with what they are doing. They fall in love with their dreams and their passions again. What is the difference between these two emotional states that people go through? The number one key to success is the capacity to recommit when things are getting tough. Never give up. When you are in a place of adversity, remember that this is nothing but a test and a temporary circumstance. If you wish to embrace that winning attitude, in a couple of months, in a year, in a few moments of time, you can be on the other side, loving your life, loving your business, and loving the choices that you’ve made for your life. Always go back to the reasons this journey is important to you. Consider the past when have you given up on a dream or a situation. You stopped short of success. This time around you can create a different story for yourself and for your life? Never, ever give up. We know that we need a support system. 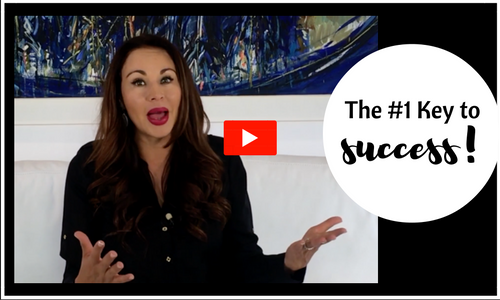 You need to recommit to make sure that you do have a support system or mastermind or group of people with which you get together so they can help you overcome these hurdles. Make sure that you go back to the reasons that you want to do this, and never, ever give up. Always remember that life gives us the privilege, the opportunity, but also the responsibility, of sharing our message with the world. When you have a gift, it is your responsibility to share it because there are people who need to hear what you have to say. They need to hear your message. There are people who are waiting for you because only you can help them. Go share your message, shine your light, and make your difference in this world. Number one subscribe to this channel so you continue to get updates every single time that we post new content, a number two if you would like to get ahead faster, grow your business a little easier, what I would like to give you is my training on how is that you can start attracting more clients and getting more business with something as simple as your blog posts..
What would you need to do in order to reach the those people? That is exactly what I talk to you about on my free training… this is the same check list I use every single time that I’m creating new content , the same checklist I use to create more visibility, more leads, and most importantly allows me to help more people. If you want to be more effective. And change more peoples lives. And you can download this gift for free. The same check list I use every week to reach more people and change more lives. Share your message and help the people you are here to help in this world!